Each USDEC mission has its “aha’ moments when a light bulb goes on over our dairy farmers’ heads. A gasp from a S.E. Asia audience prompted a recent "aha." Every two years, the U.S. Dairy Export Council takes four dairy farmers and two dairy trade journalists on an informational “mission” to a key export market. I coordinate and lead these trips and unabashedly think they are one of the most effective educational experiences we could offer our farmers, who fund us through Dairy Management Inc. and the check-off program. To borrow a phrase from marketing-speak, these farmers are “influencers.” That means they have the clout and credibility to bring the U.S. dairy export story back home to fellow board members, co-ops and their personal networks via social media. But we recently saw in Singapore how effective they can be delivering the message overseas. I grew up on a Wisconsin dairy farm and enjoy taking hard-working farmers to other parts of the world to see how our U.S.milk is being used overseas. Each mission has its share of “aha’ moments when you can almost see a proverbial light bulb go on over our dairy farmers’ heads. My communications colleague Mark O’Keefe and I call this moment the Audible Gasp because that's what happened when Southeast Asians saw a big-screen wedding photo of a fit, tall, handsome and wholesome California dairy family. I previously took farmers on missions to Japan, the United Arab Emirates and China, and planned a mission to South America.This year, from April 12-22, my mission was to Southeast Asia. It’s an important market because exports there have more than tripled in five years to $1.3 billion annually, with plenty of upside. Our visit to Singapore, the financial and shipping hub of Southeast Asia, coincided with the U.S. Dairy Business Conference, where purchasing and marketing decision-makers from throughout the region would learn about the advantages of U.S. Dairy. I knew our farmers would be responsible for a 30-minute presentation at the conference. But when I saw our noon time slot I was concerned. How would we keep the attention of hungry people whose heads were filled with several hours of charts, graphs, facts and figures? Four U.S. dairy farmers and USDEC staff don "Cheesehead" attire to give the big "thumbs up" after a presentation at the U.S. Dairy Business Conference in Singapore. I'm on the far left. Mark and I decided we would aim 10 inches lower, for their hearts. But how? Visual storytelling. We did telephone interviews with our farmers to determine the story lines that best illustrated larger truths about our industry. One point we wanted to emphasize in each story: the family angle. There is a stubborn myth spread by our critics that most U.S. dairy farms are run impersonally by large corporations when the fact is more than 99 percent of our more than 50,000 farms are family-owned and operated, many for generations. 2. Animal Care: Kima Simonson, Deer Park, Wash.
3. Environment: Harold Shaulis; Somerset, Pa.
4. Relationships: Renae De Jager; Chowchilla, Calif.
We did a dry run the night before to practice our tightly choreographed multi-media presentation. Some of the farmers were a little nervous, and. To be honest, so was I.
I was taking a risk with this approach. These were not staged photos with models brought in from the big city, but real farm families on raw, unfiltered farms. We’re talking soiled overalls from time in the field, wrinkled brows after years of milking before the crack of dawn and toiling on tractors in the sun. And yes, manure. It doesn't get much rawer than that. Was Southeast Asia ready for the “real deal?” Were we? We got ant indication the next day when the first family farm photo flashed before our audience on two large screens. 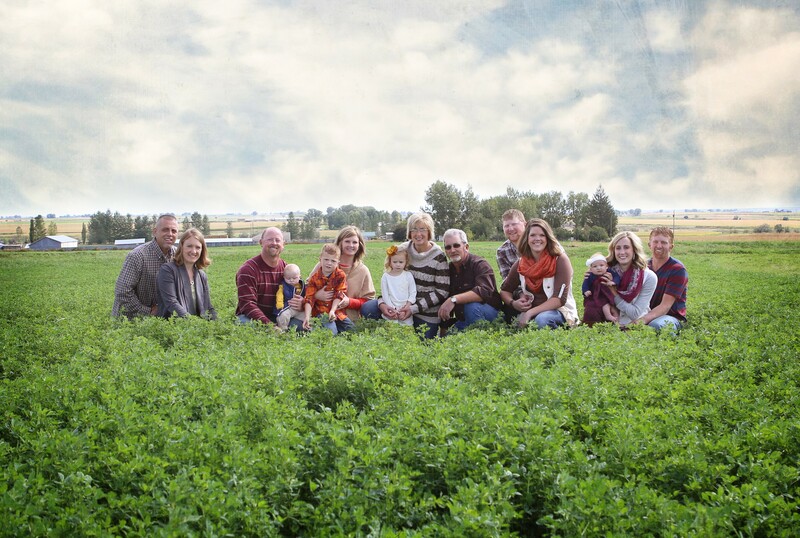 It was this shot of John Brubaker and his extended family sitting in a green field of alfalfa, underneath an enormous Idaho sky dotted with puffy clouds. I noticed the more than 100 purchasing and marketing decision makers from 10 countries perk up. Some sat straighter. Others leaned forward. Many smiled. As if someone had said, "Beam them there, Scotty," these Southeast Asians had been transported to John’s farm in Buhl where he had them drinking U.S. milk from bottles as if they were his calves. Kima then described her 160-acre, 80-milking cow dairy farm nested among the beautiful rolling hills of eastern Washington State. She talked about her love for their animals: They’re milked by family members twice a day, someone from the family attends to every calving and some cows, Kima told the story of Olivia, have been tenderly given names. Harold told of his commitment to the natural environment. Because his farm is located in a hilly section of southwest Pennsylvania, he has to be conscious of environmental issues and does whatever he can to prevent runoff from his dairy. He runs his 360-acre, 120-cow farm knowing he is a member of a global community and acts with the highest integrity toward others. Food safety is very important to him, and he works with other dairy farmers to supply milk to needy people through food banks. Finally, Renae batted cleanup with words and images not only about her picturesque family farm, but the popular agri-tourism center and winery she runs near the gateway to Yosemite National Park. The audience remained transfixed as the last image from our presentation appeared on two screens. 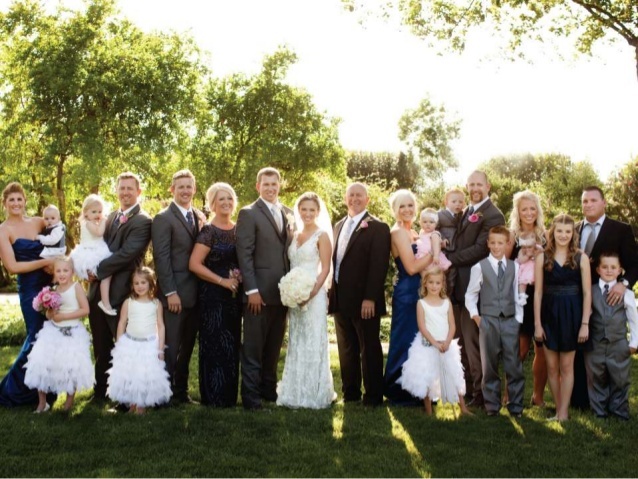 It was a De Jager family wedding portrait taken at the winery. The De Jager wedding shot that prompted an audible gasp from an audience in Singapore that apparently had never seen what a typical California family raised on U.S. Dairy looks like. Gasps rang through the conference room, prompting Renae to pause for a moment, not knowing what to make of it at first. She looked up, saw the approving expressions on the faces, caught her composure, and continued. That was the "aha" moment when we realized we not only had a hit on our hands, but a home run. Several importers told us later that they had never seen photos of an authentic American dairy farm. For some, it was an emotional experience. One distributor nearly cried describing it. You can read more reactions and see the photo slideshows in this blog post. So what’s the takeaway, the broader application for exports and our industry? It’s this: Authentic stories about American farm families resonate across seas and cultures. Our farmers are effective ambassadors for U.S. Dairy because people, no matter where they may live, crave the real deal. Twenty-four dairy supplier and processing companies were at the conference in Singapore, illustrating how our USDEC members develop and maintain strong working relationships in the markets they export to. But something special happens when an importer or food distributor sees where and with whom the American farm-to-table dairy story begins. In a post-conference survey, 9 out of 10 participants said the conference met their expectations. The highest-rated presentation? You probably guessed it, the visual stories of our four U.S. dairy farmers. Having the good fortune of growing up on an American dairy farm and being around dairy farmers all my life, I know about their hard work and commitment to excellence. It was gratifying to see their words and images connect in a powerful way with international customers.